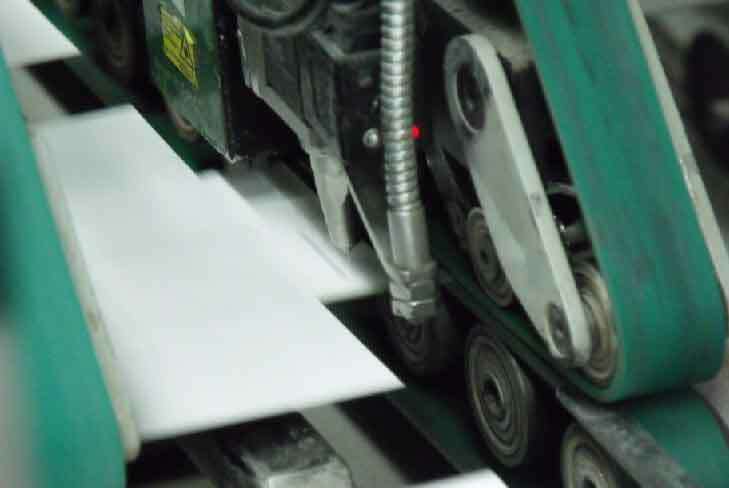 High-speed folder/gluers, capable of running cartons at 600 meters per minute handle all of our gluing needs. 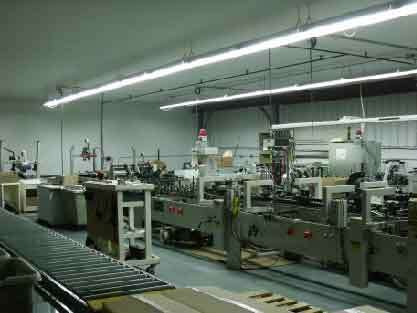 These machines glue all styles of cartons, from straight line to auto bottom. With the use of state of the art controls, 4 corner beers trays or 2 piece cartons can be run at amazing speeds. 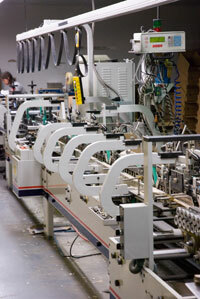 Computer-controlled gluing stations are used to complete even the most demanding jobs. The addition of high-speed laser glue detection systems to keep an eye on the glue being applied to jobs - even at top speed, give us more quality control than ever before. 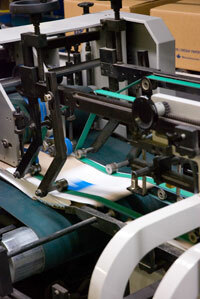 If cartons are not glued correctly, the sensors will alert the operators so they can identify and correct the problem. All cartons are packed in corrugate for shipping by highly qualified operators who visually inspect all of the cartons for any defects.